“[T]here was so much hurt and pain and fear and sorrow … that I needed more than one kind of song to sing,” says one of Penny Mickelbury’s characters in God’s Will and Other Lies. Here a cacophony of voices sing, spit, and scream their songs in a collection both historical and absolutely contemporary. 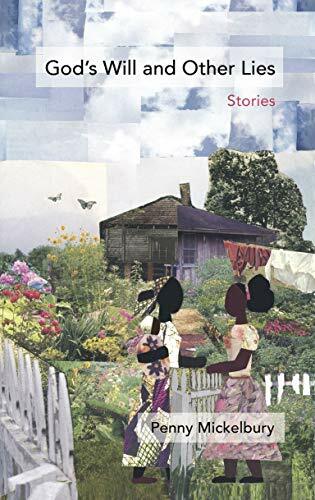 Mickelbury’s stories chronicle the lives of black Americans, from an elderly woman at a Black Lives Matter rally to a family caught in the heart of Detroit’s 12th Street Riots in 1967. Women anchor many of the stories as they battle against racism, rumors, insinuations, and sexism. Still, the women in these stories take great pains to create and retain their own dignity, whether that means killing a man or saving one. Mickelbury moves across the South and through time, wielding characters that interact at the heart of some of the most powerful moments in American history. A young civil rights activist tries to register voters in Jim Crow South and nearly loses her life. A family moves to Detroit and witnesses the effects of Detroit’s race riots, and two elderly sisters defend their home from a would-be burglar. In each case, Mickelbury’s characters speak in distinct voices, rife with the cadence of place, and her elderly characters are as uniquely defined as her children. Everyone has a fully realized place at this table. Mickelbury’s great narrative knack lies in her intersection of the personal with the political. The reverend who tries to silence the dissenting older woman becomes the face of misogyny in the church, the older woman speaks truth to power, and, in this instance, arises triumphant. These characters strive and fight within the institutions of family, faith, and history, where each has the power to redeem or destroy. Political, personal, and multivoiced, these stories cross genres, from literary short stories to African American literature to historical fiction. That scope is part of what makes God’s Will and Other Lies so powerful; the rest lies with the voices and their haunting narratives. Disclosure: This article is not an endorsement, but a review. The author of this book provided free copies of the book to have their book reviewed by a professional reviewer. No fee was paid by the author for this review. Foreword Reviews only recommends books. Read BLF Press’s description of God’s Will and Other Lies: Stories.